Everybody has their own New Year traditions and one of our family favourites is holding hands and belting out ‘Auld Lang Syne’ after the bells strike midnight. Of course anyone else standing nearby is welcome to join in (sometimes they have no choice!) even if they don’t know all the words. 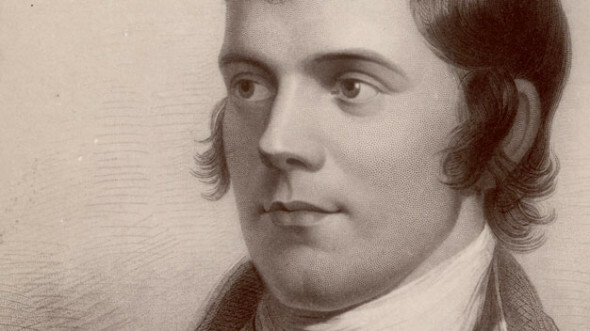 Written by Robert Burns back in 1788, the poem (which roughly translates into ‘Long Long Ago’) is perhaps one of the most famous to come out of Scotland and a number of different versions exist to this day. Nowadays, singing the song at Hogmanay, the Scots word for New Year’s Eve, is not only common north of the border, but all around the UK. Here’s part of the original poem penned by Burns as well as a video of the song so you are fully prepared by the time 2017 comes around… Happy New Year!